Big Ankle socks Made with 100% American Yarn in Peru not recycled yarn from china and pakistan. This sock has one of the most generous proportions of its size. States 13-15 on the label it should have no problem going up to a size 16. Very well constructed, with comfort top technology that will not leave a mark on your ankles. 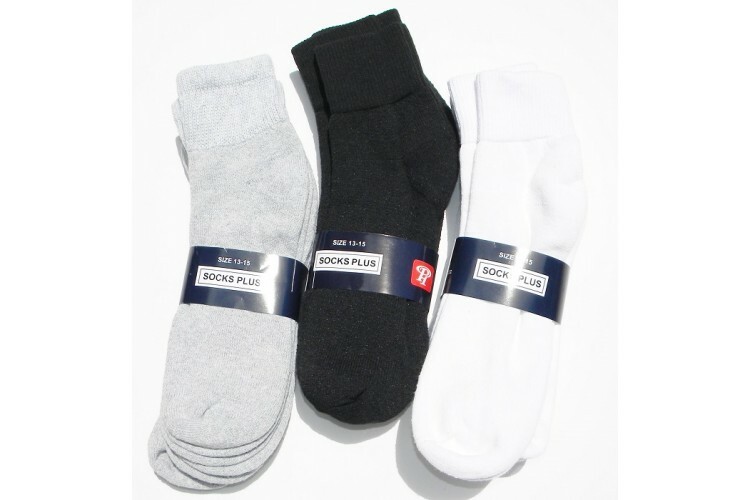 One of our best selling socks available in black and white as well. We send the yarn to peru and they make us this fantastic sock.